During the span of my high school career I was introduced to so many classics. I learned the art of literature analysis, writing essays discussing themes and symbolism (usually at midnight the night before it was due!). But as an adult, while literary analysis taught me to take a book for more than its word, I feel like I rushed through the most important books of my life. So for the adults that share my experience, I invite you to revisit these classics. 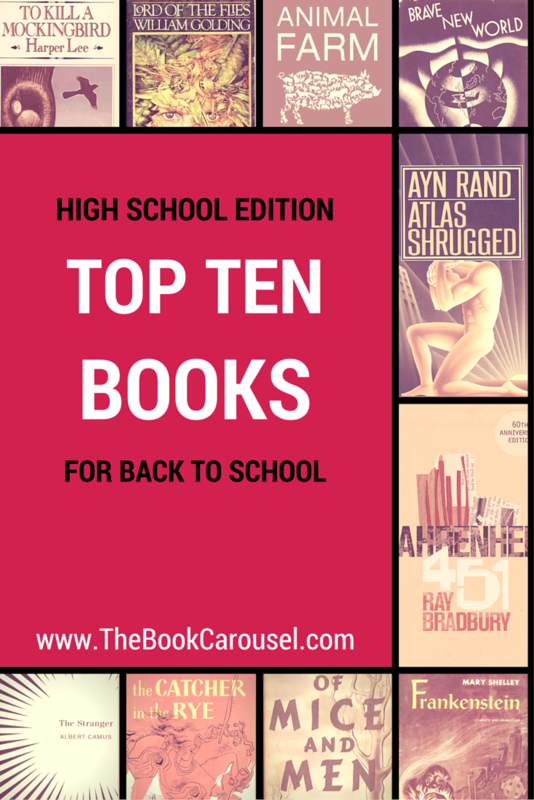 For the high school students, enjoy these books before they become part of another school lesson. Of all the reasons to read To Kill a Mockingbird, Atticus Finch is probably the most important. He is the ideal example of an upstanding character who defines what it means to do what is morally right without prejudice. Civilization is a fragile thing. It is kept together only by an agreed-upon set of rules and implemented by its leaders. When a group of young boys find themselves stranded on an island, the civilization that they knew becomes something different. Lord of the Flies demonstrates how simple it is to become an animal again without the constraints of a structured society. It is inherent in human nature to submit to the basic impulses of violence and irrational thinking when you let your fears control you. 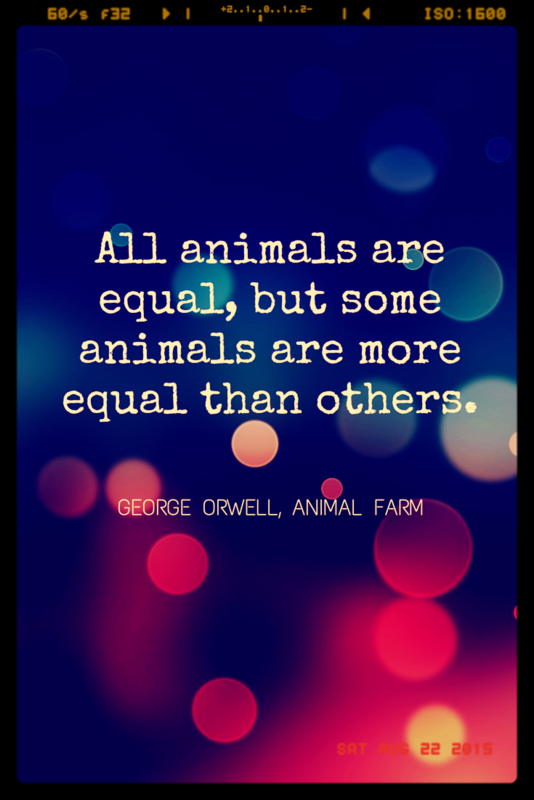 In Animal Farm, a group of animals decide to revolt against the tyranny of a farmer (and all humans), only to find themselves under tyranny of a different regime. George Orwell demonstrates that even in a structured society, people are subject to the political dogma of a self-serving government, such as Soviet Russia was (is?) at the time Animal Farm was written. This dystopian novel is often contemplated alongside George Orwell's 1984. In 1984 George Orwell predicts a world where the population is controlled through fear and pain, whereas Albus Huxley in Brave New World predicted that we would be controlled by what we love. We would be so obsessed with distractions that we wouldn't concern ourselves with "the bigger picture." This is an important novel to read during high school because it is very easy to fall into the pattern of distraction instead of paying attention to the current events going on around us. Especially since a lot of students turn 18 before they graduate High School and are legally old enough to vote. When I was looking at college scholarships, I kept coming across the Atlas Shrugged essay contest. I never submitted an essay for the contest, but 10 years later I wished I had. I first read Atlas Shrugged in 2001 when part 1 of the movie was released. I was inspired by the characters to work hard to create something better; that you had to push yourself beyond what you thought were your limitations in order to earn a life for yourself. Granted Ayn Rand's dogma was on the extreme side, it is easy to see the merit in the spirit of the idea that you get what you earn. I think Atlas Shrugged is a good book to read in High School because it can not only be motivational to do well in school and that there is merit in working hard, but there are scholarship opportunities as well at The Ayn Rand Institute website. In Fahrenheit 451 by Ray Bradbury, firemen no longer put out fires- they start them. Fahrenheit 451 is a futuristic society where books are banned no necessarily due to content, but because they're unnecessary and "upset people." Books became ruthlessly abridged to accommodate short attention spans, but eventually banned completely due to different groups and organizations complaining about outdated content and perceived offense. The government decided to turn firemen into book burners for the sake of public happiness. In what started out as a competition between friends, Frankenstein turned into what is argued to be one of the first books of the Science Fiction genre. Despite popular culture's interpretations, Frankenstein is actually the doctor that created the "monster." Victor Frankenstein discovers the secret of life and creates the monster, but is immediately repulsed by it. The Monster, shunned by his creator and unable to find acceptance wherever he goes, begins a journey of violence and revenge. Taking place during the Great Depression, Of Mice and Men follows friends George and Lennie, migrant workers traveling from ranch to ranch to find jobs. They are working towards a shared dream of settling down on their own land in California. 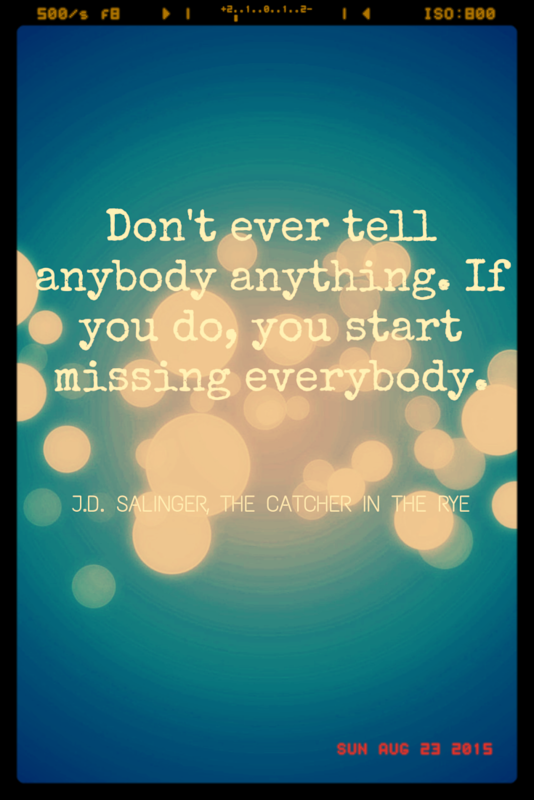 The Catcher in the Rye was one of the books I read in High School that stayed with me well after. It's about a boy named Holden Caulfield who runs away from school because he feels different than the rest of his peers. He's frustrated by the "phonies" that seem to plague him every day. The Stranger by Albert Camus was my first introduction to existentialism. It's about a man who is psychologically detached from the world around him. He experiences life with an apathetic view of other people's interpretations of morality. He is, however, honest with the way he feels and the people he's with accept him the way that he is. His apathy, however, does work against him when he shoots a man that was flashing a light into his eyes using a knife. He is eventually convicted of the murder and his apathy taken for lack of remorse. He finally shows some emotion when facing the sentence of death before he accepts his fate. I have read The Outsiders at least 5 times since I first read it in elementary school. It is about a boy, Ponyboy, who lost his parents and is being raised by his brothers, Darry and Soda Pop. They live on the wrong side of the tracks, and getting into trouble is a way of life. When Ponyboy's friend Johnny accidentally kills a member of the Socs' gang, Ponyboy and Johnny go on the run. Eventually Ponyboy learns that people are the same no matter what side of the tracks they come from. I chose The Outsiders as a bonus book because I was never required to read it in school, and because of its gang themes, alcohol use, and violence it is often banned. However, I think that it's an important lesson to show that different backgrounds have different advantages and disadvantages, but it doesn't mean it needs to define who you turn out to be.